In our everlasting quest of finding the perfect pair of headphones, we ran across a pair of headphones that promised Active Noise Cancelling, Bluetooth, 20-hour battery life, & mic abilities all for under $75, I had to give them a try. Right out of the box, I was amazed by the quality of these headphones for only $65 from Amazon. 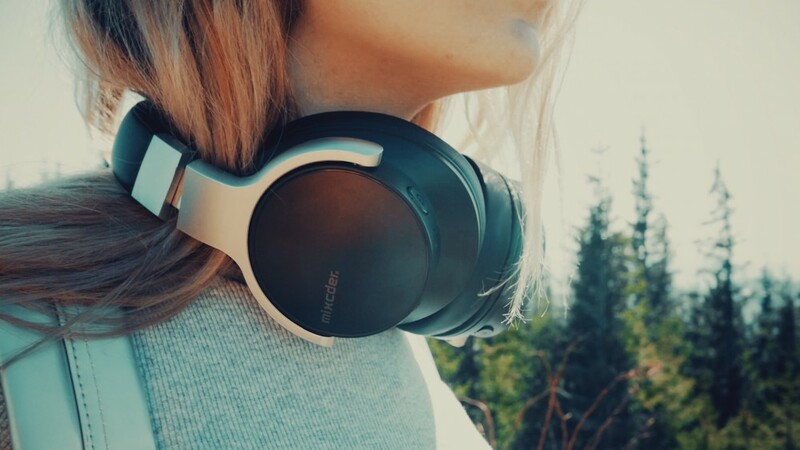 With a high quality carrying case as well extremely sturdy craftsmanship on the actual headphones, the Mixcder E7’s are made for leaving at home or taking on the go. 【What’s In The Box】Mixcder E7 Bluetooth ANC headphone, 3.5mm audio Cable, Micro USB charging cable, Compact Carrying Case, User’s Manual, Our worry-free 12-month warranty, lifetime support and friendly customer service. Now that we got them out of the box it was time to pair them up Bluetooth to my phone. The process was painless and easy and I was connected within a minute of taking the headphones out. The range on the Bluetooth is something to be desired, but if you have your phone in your pocket or your bag, the Bluetooth won’t hiccup or cause any issue. The sound quality of these headphones is very, very good. I listened to them for probably about 40ish hours at my desk and at the beach and the volume quality holds up on low, all the way up to max. The bass and treble are set up very nicely and you can hear vocals quite clear and not distorted at all. The Active Noise Cancelling is subpar at best, but you can’t expect them to hit on every mark for the price tag you are paying. The microphone also works well for Bluetooth calling as I had a few calls come in seamlessly while I was working and connected to the headphones Bluetooth. For $65, you really can’t beat these headphones if you are looking for over-the-ear Bluetooth headphones. Comfortable, quality crafted, as advertised battery life (20 hours w/ out ANC on), good sound, and a solid Bluetooth connection, Mixcder hit the mark with these E7’s. Click the link below to check them out yourselves, I promise you won’t be disappointed!